so what rings are you using for your scopes. I have a vx5 44 mm that im waiting on and curious. Would like the arc m10 rings or seekins. what height are yall going? I put a vx6 52mm on seeking lows with room to spare. Couple posts in this thread or the pic thread savinyours posted. I went with the Vortex PMR Lows. They are the same as the Seekins Lows. I am using them with a Vortex Viper PST Gen II 5-25X50 without issue. Still had to use a stock pack to raise the comb up a bit for proper eye alignment. 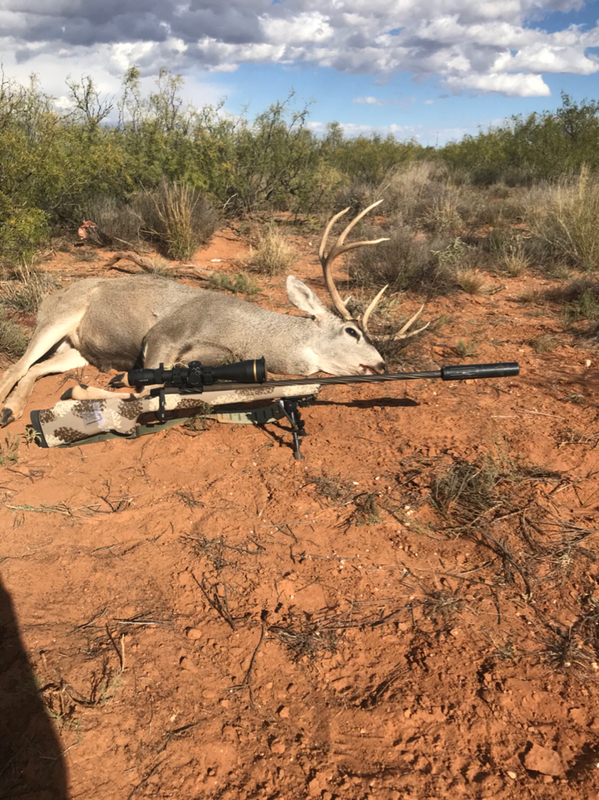 Lone Peak Razor action, Leupold VX-5HD 3-15x56, Seekins low, about 3 dollar bill thickness clearance front and rear at power adjustment ring. Perfect cheek weld. Then I got a set of lows, MONEY! 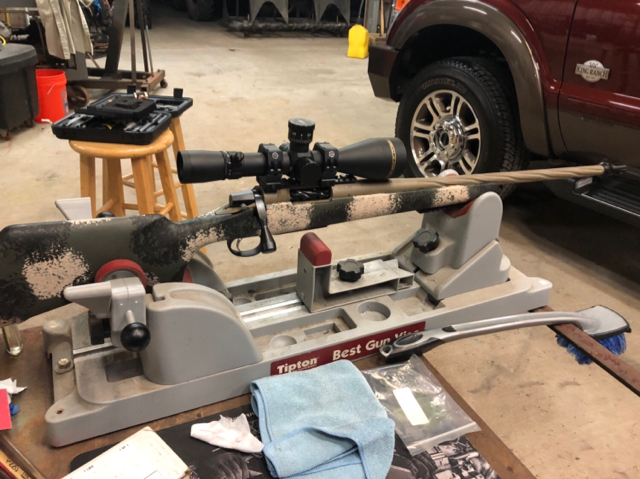 After having some issues with my APR Kryptek Mountain Rifle in 7mm08 and sending it back, I got a quick update from Robert that the issues had been corrected and he was waiting for the rain to quit and range to not be underwater so he could do some shooting. Yesterday I got this pic. He said this is the first time he's seen a rifle shoot Winchester factory ammo under a 1/4" group. I should have it in my hands this evening. Even though I had a rocky start with APR, it looks like they took care of everything I was concerned about. Picked my TBH build up yesterday. 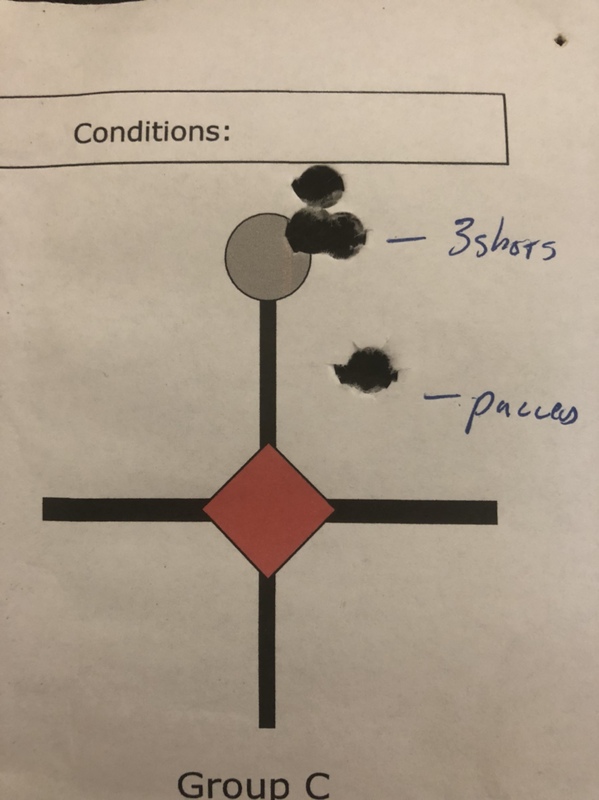 Going to the range tomorrow. Glad they got everything fixed up for you. That thing is funky cool for sure. Let us know how it shoots. I don’t rifle hunt much but I love my 300 WSM! Oh man, I like that!!! 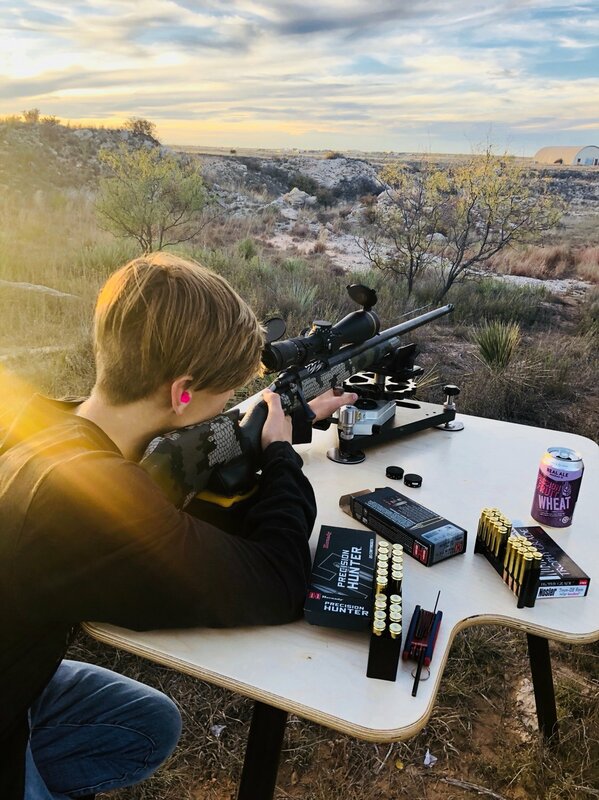 Here is a pic of junior shooting my 6.5 prc yesterday. I love this gun! Looks, feels and shoots just like I wanted. 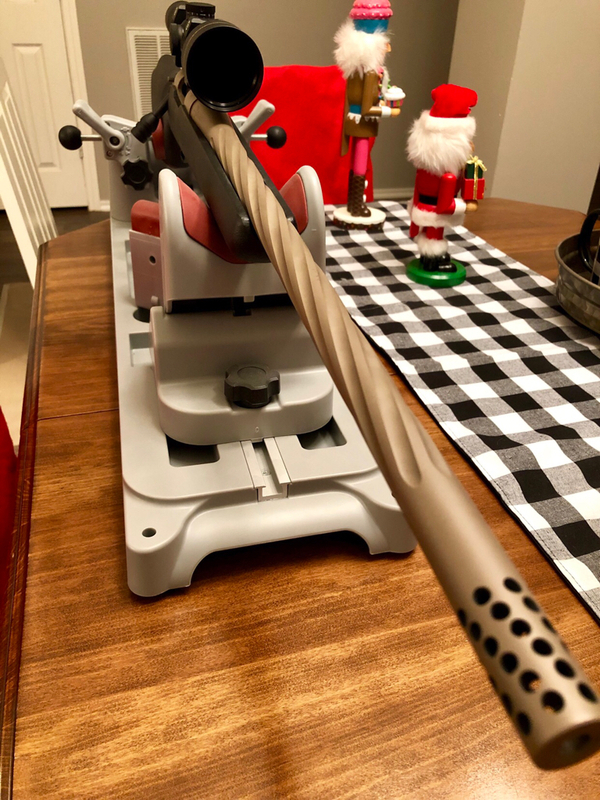 Hoping to get to the range this weekend with mine to see how she shoots. He has great taste in beer! Very nice. Is that an Alan wrench taped to your stock? What's up with that? I topped the gun with a Leupold VX-6HD and you use the allen wrench to adjust the zero stop on the scope. On my way to New Mexico I went to the shooting range to get dope out to 600 and didn't want to forget the allen wrench if I needed it. I forgot to take it off for the hunt. Any issues with the turret adjusting correctly and returning to zero? I sent my VX6 in to have the CDS ZL2 installed. Supposed to be ready in a couple weeks. Have heard people are having trouble with the adjustments, but some also seem to have no problems. I hope the issues are from people that are constantly dialing (competition type, long range target stuff). 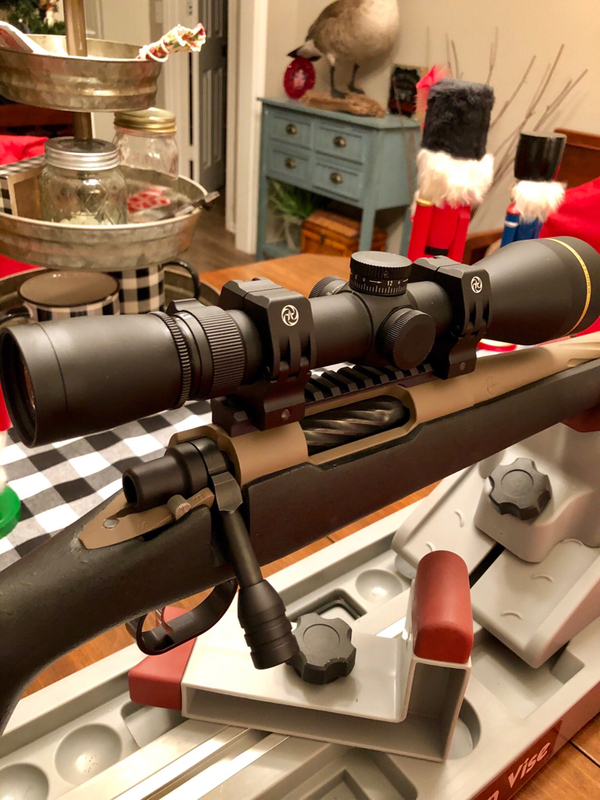 I wanted a lighter hunting scope than the NF, SWFA, Bushnell type scopes that I could zero at 100 and dial up to 4-500....if needed. I have haven't had it on very long. 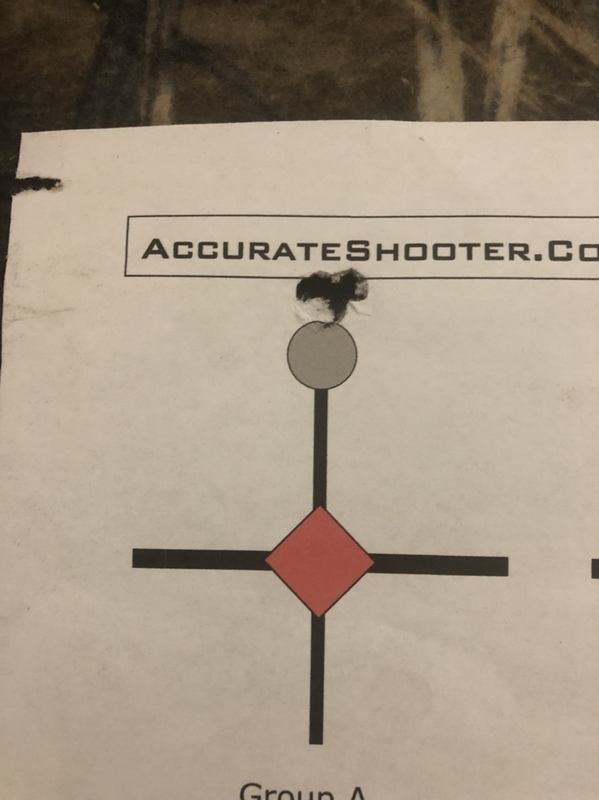 I have ran it up and down to 600 yards (about 12moa) maybe 10 times and haven't notices any problem returning to my 100 yard zero. Finally found a few minutes to put this together. 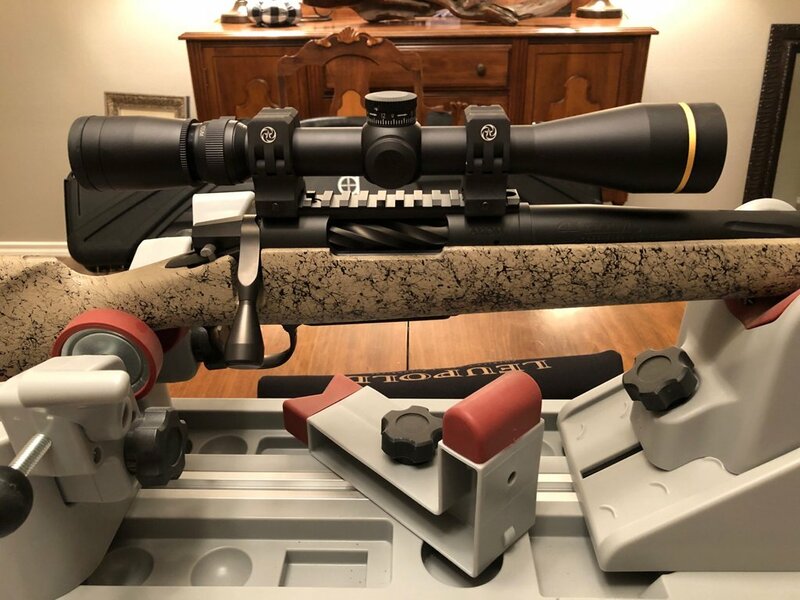 ARC low rings, and Leupold vx3 4.5-14 x40 CDS. Hope to have’er dialed in this season. Finally got load work done on my youngest sons APR that was ordered about the same time this group but took place. 140g Accubonds right at 3150. Group 1 @ .186 followed up by a .298. It’s more accurate than I am! I can't be more please with my rifle from this build. 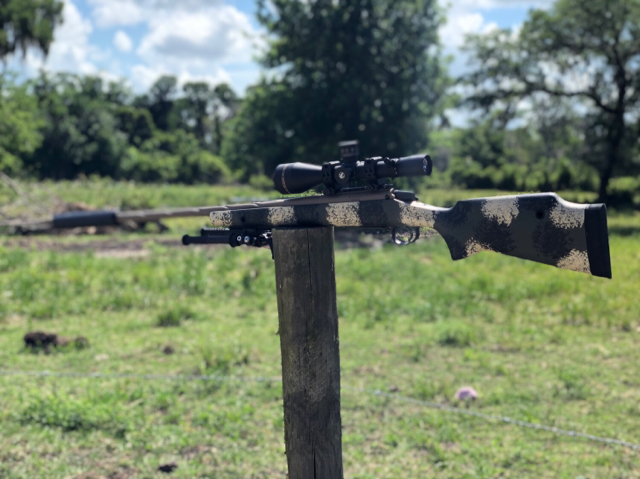 Spent the day out at Triple C Range in Cresson stretching out the rifle for the first time. Made it out to 1500 yards even with having to hold a 9mil wind. I can't ask for much more then that out of it. I might be getting a new chassis system for it to use when target shooting. Thinking about getting the KRG Bravo so that I can use a detachable magazine when target shooting or possibly some PRS in the future. I can put the Grayboe back on when using it for hunting. 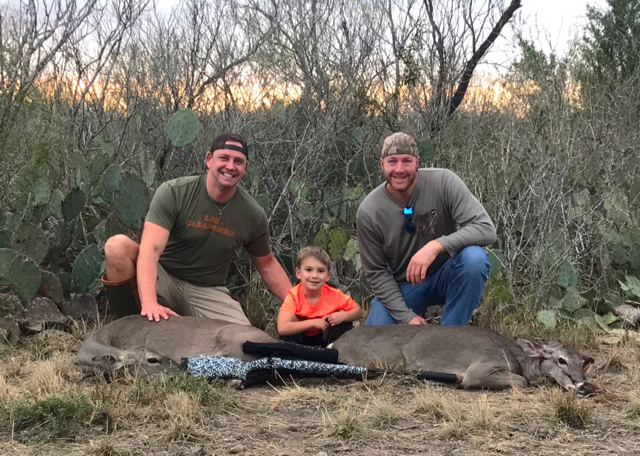 It also worked great for taking a nice doe during my draw hunt in southwest Texas. Thanks to APR for a great opportunity and a great build. Dang I’m really wishing I would’ve jumped on this. Good looking guns! I haven’t shot an animal with a rifle in 15-20 years. After getting this gun, it has killed 5! Lol...it is a blast to shoot. 3 deer, hog, and a turkey. 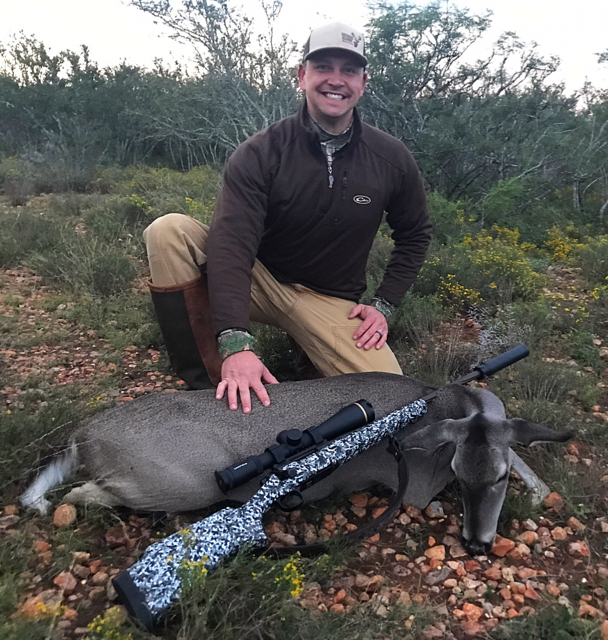 What caliber do you sell the most for hunting? 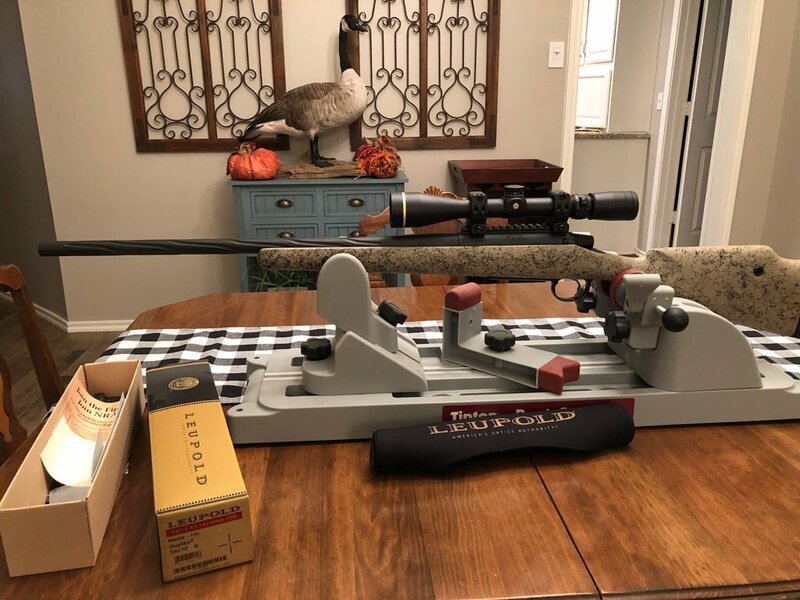 Looking at 6.5 creed or 7mm 08. Happy Hanukkah to me. Excuse the mess on the work bench. Just picked this dude up today. Digging the plain ole black & tan. Really looking forward to shooting stuff with this one. Got the call. 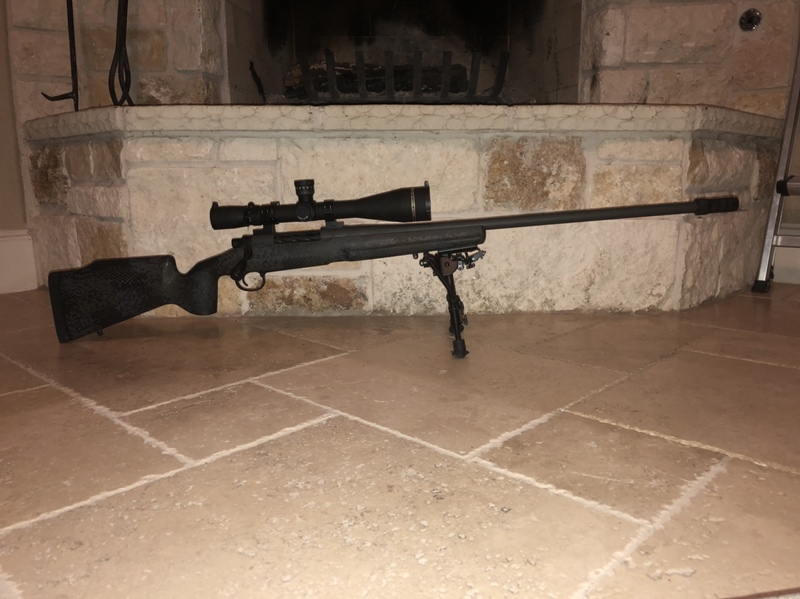 My 7mm-08 shipped yesterday. I’m pretty pumped and ready to get her dialed in! What height rings did you guys do for the 56mm objective? I have Seekins mediums on my 50mm....I could've probably gone with lows, but it would've been really close. You might look at the medium-high instead of the mediums for the 56mm. 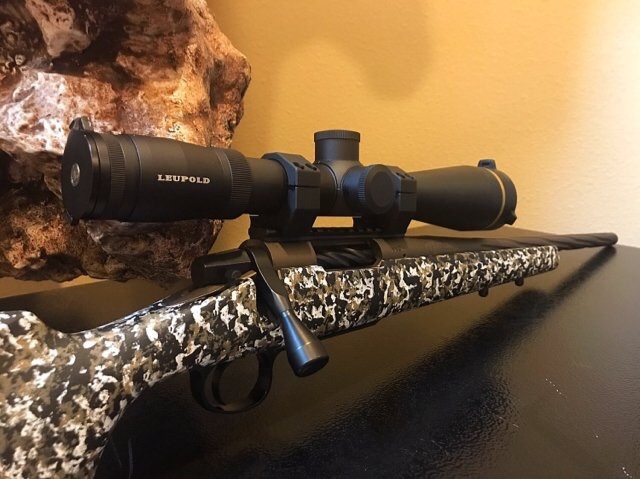 Details on your build please.....caliber, barrel length, and colors. I really like that rifle. 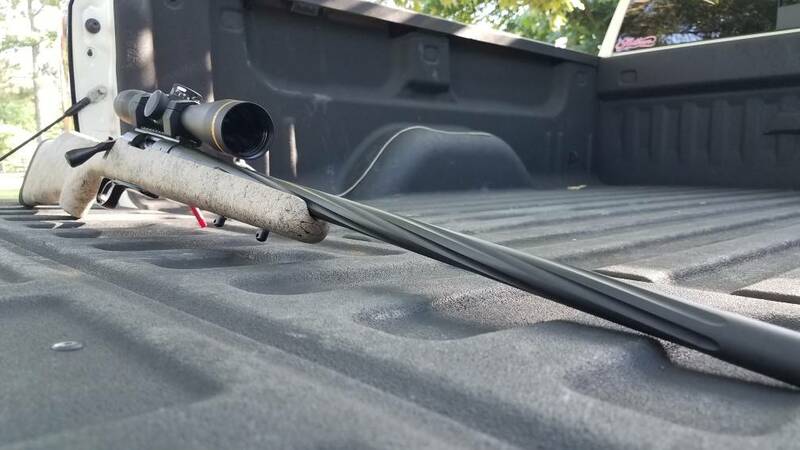 7-08, 20” barrel, burnt bronze cerakote (I think), and stock is white, black, fde. Here is a better pic of it. Colors didn’t come out as I expected, but i like it. I love the way that turned out. I wish they were doing another build like this for 2019 for us knuckle heads to were to stupid to get in on it. I might do that anyway instead of the group buy. It will just cost me more. 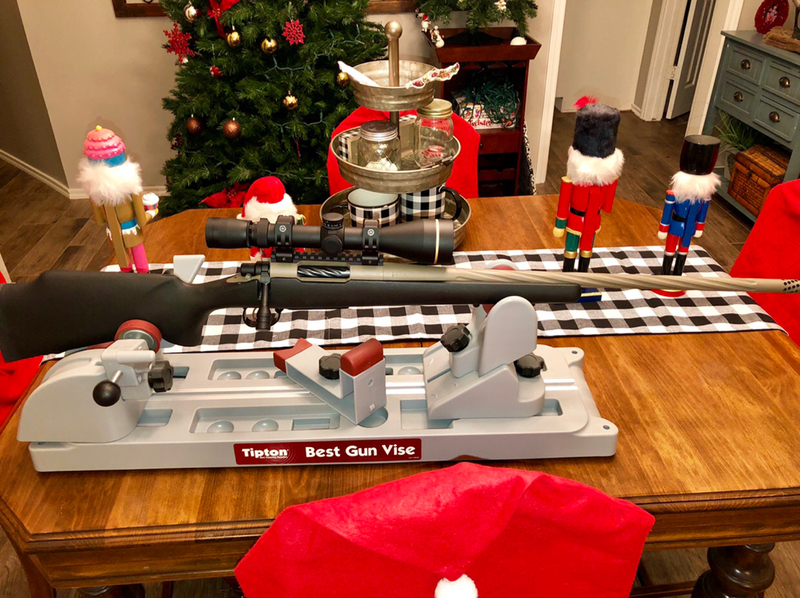 It will be a different rifle but they are planning a 2019 TBH special build right now. 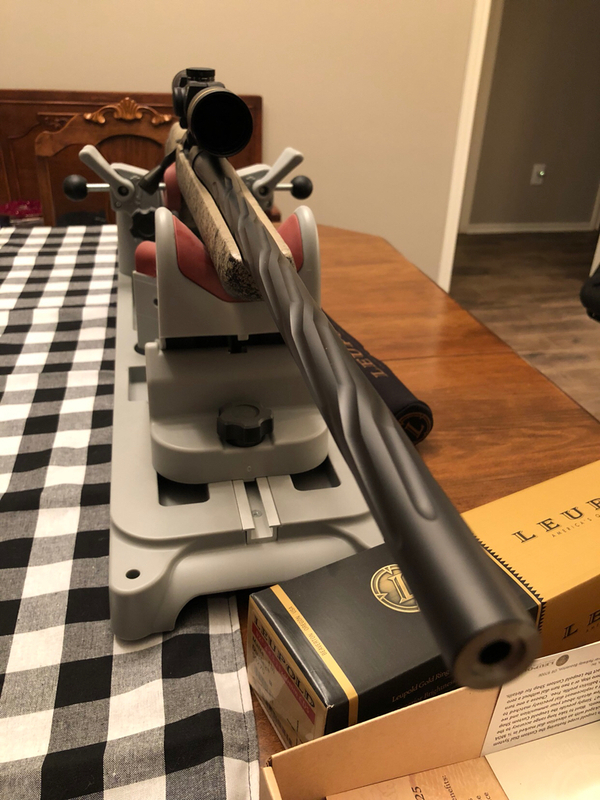 Yea looks like it is leaning towards a carbon fiber barrel build which I'm not as exited about. Does look like it will be a steal of a deal though. Some nice rifles came out of this build for sure. Wish I would have got in on this one. Got 3 animals under the belt of my APR build. It is a hammer so far. Love to see pics of them doing what they were meant to do! Congrats on the critters. Haven’t seen it in a month! Haha. Give him 2 next time and see what he comes back with. You've gotta have the coolest job ever. I've always driven by your place but my odd work hours have prevented me from ever checking the place out. Is it open for visitors? I could walk to the shop from where I live! Please stop by when you can. Would be happy to to show you around the shop. Make time to stop in! Great group of guys that are all very hospitable!